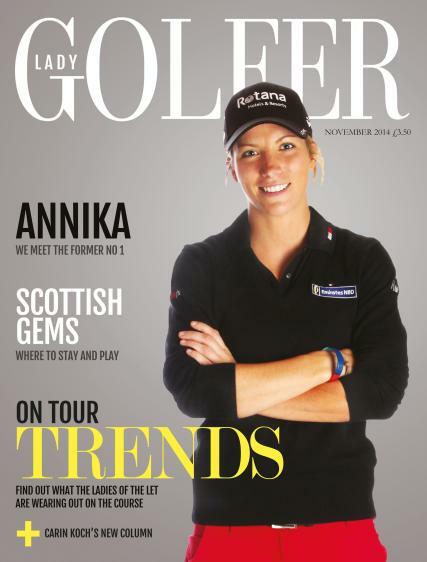 Lady Golfer is Britain's leading magazine for women players and the only one published monthly. Buy a single copy or subscription to Lady Golfer magazine. Packed with great fashion tips and the most stylish looks, it offers all the latest news and views from the ladies' game - all put together by a team of expert writers. Brilliant instruction from the professionals - real club pros who know how to help the average player offer easy to understand hints and tips; while tour pros can help you gain finesse to save shots and hit the ball further and straighter. And much, much more in every issue! Lady Golfer - an in depth and lively read every month! One of the few magazines targeting ladies rather than men with specific tips which apply to female golfers. I like the pages about the Golfing stars and the winners on tournaments. I would like more articles on how to improve my golf. I am a middling golfer with a handicap of 21.